NEW PRICE! Spectacular Custom Home with gorgeous Pool & Spa | A True Masterpiece! Bring your Toys, RV and Horses! 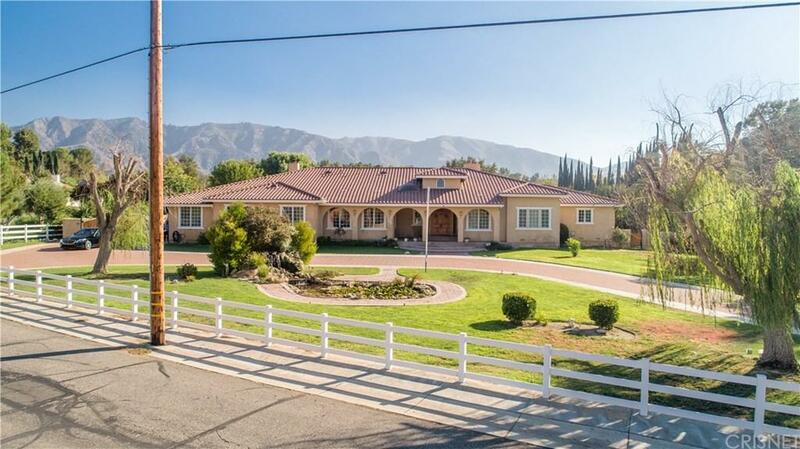 This home features a circular driveway entrance, manicure landscape with fish pond/waterfall, RV access, HORSE property, four car garage. 4 Bed, 6 Bath plus two bonus rooms (Gym and Office) with over 5,800 sq ft of living area, recessed lighting throughout. Large master suite with fireplace and a gym room, french doors in master bed that leads to the gorgeous pool and backyard. Master bedroom has his & hers full private master bath, huge walk-in closet, office room next to master bedroom. Gorgeous marble flooring throughout, large open chefs kitchen with granite counters and island, stainless steel appliances with built in refrigerator, conventional oven and electric warming drawer oven, elegant formal dining room, formal living area with fireplace, wet bar, laundry room with sink and plenty of cabinet space. Stunning backyard with pool/spa, solar panels, waterfall and water slide, 1.6 Acre lot, horse property. Too much to list...A must see! !